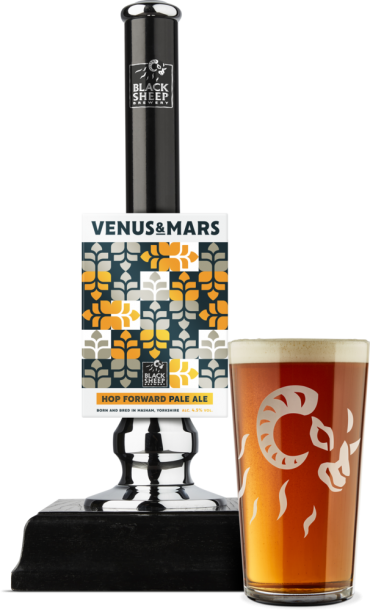 We’re absolutely over the moon to announce that our best-selling seasonal ale is to make a welcome return to our seasonal range of beers to coincide with the 2019 Tour de Yorkshire. 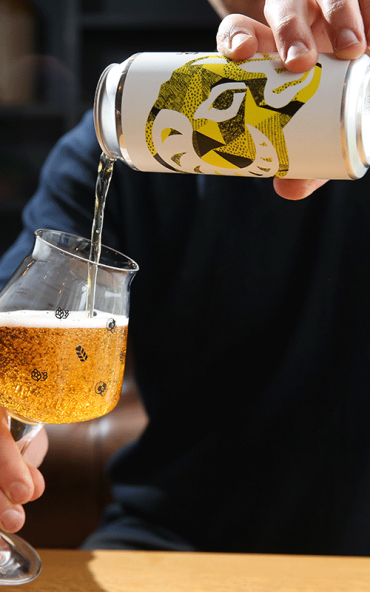 Velo, our delicious ‘freewheeling’ pale ale, will return to pubs across the UK throughout April and May ahead of the event (2-5 May 2019). Launched in 2014 ahead of Le Grand Depart, Velo is a 4.2% pale ale brewed with Cascade hops and a subtle hint of orange and coriander, leaving a super-refreshing citrus edge. Once again, we’ll be the Tour de Yorkshire’s official beer after agreeing a partnership with the event’s organisers, Welcome to Yorkshire, in 2018. 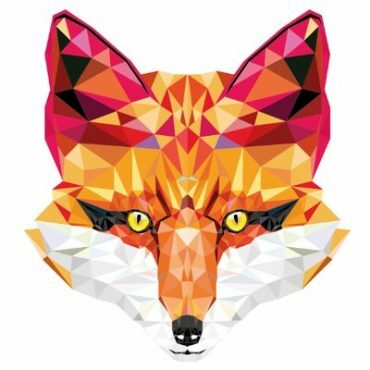 Last year’s race boosted the regional economy by £98m, according to a study by GRASP and Leeds Beckett University. Riders also passed through 170 villages, towns and cities across the county, with more than 2.6m spectator on the roadside and 12.5m TV viewers. To mark the occasion, we will host a 1km ‘Black Sheep Straight’ when the race passes through its hometown of Masham during the men’s event, with a further Black Sheep Straight at West Tanfield, during the women’s race. 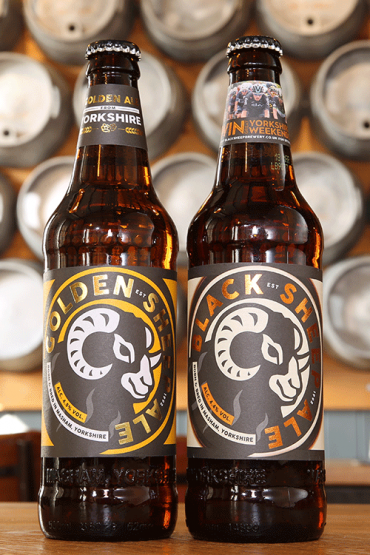 The first rider to pass through each straight as part of the race will win their ‘height in beer’ with cases of Black Sheep bottled beers! We’ll also be supporting the pub trade over the course of the event with the return of our famous ‘pub peloton’ – a group of pubs that are located on or near the route, which will be officially supported by Black Sheep through a series of digital and visual initiatives and tools to help drive footfall over the course of the event. To mark the release of Velo, we’re launching a competition through our website in the coming weeks – with winners and a guest afforded the opportunity to enjoy a private tour of the brewery together with one night’s accommodation and dinner in Masham. We’ll also select one winner and a guest to experience the final stage of the Tour de Yorkshire, as it passes through Masham during Stage Four of the men’s race, together with a two night’s stay in our hometown on the 4-5 May. 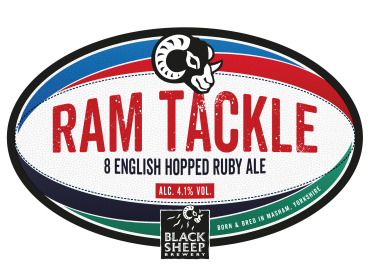 Jo Theakston, Sales and Marketing Director here at Black Sheep, said: “Since Le Grand Depart navigated the roads of Yorkshire and passed by our brewery in 2014, the legacy that the Tour created has had a lasting impact on us here at Black Sheep. 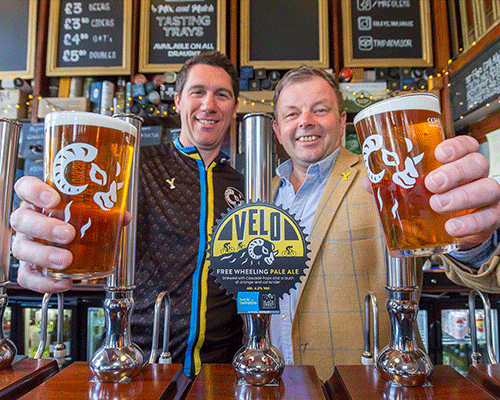 Peter Dodd, Commercial Director at Welcome to Yorkshire, said: “We’re delighted Black Sheep are on board again as the official beer for the 2019 Tour de Yorkshire and that Velo pale ale will soon be back in pubs across the county. You can read more about our sponsorship of the Tour de Yorkshire here, and keep your eyes peeled for more exciting content in the coming weeks! If you’d like to stock up on some Velo in bottles, it’s available to purchase here!